The whole business of philosophy, diversified as it is, is but one; it being one and the same great scheme, that all philosophers, of all ages and nations, have been conducting, from the beginning of the world. 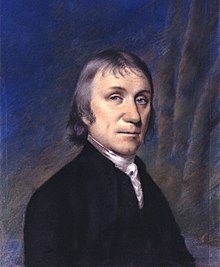 Joseph Priestley (13 March 1733 – 6 February 1804) was an English Unitarian clergyman, theologian, political theorist, and the scientist who is usually credited with the discovery of oxygen, as he was the first to isolate it in its gaseous state. [The doctrine of air] I was led into in consequence of inhabiting a house adjoining to a public brewery, where I at first amused myself with making experiments on the fixed air [carbon dioxide] which I found ready made in the process of fermentation. 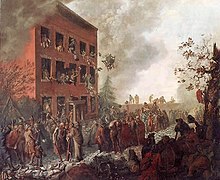 When I removed from that house I was under the necessity of making the fixed air for myself; and one experiment leading to another, as I have distinctly and faithfully noted in my various publications on the subject, I by degrees contrived a convenient apparatus for the purpose, but of the cheapest kind. We more easily give our assent to any proposition when the person who contends for it appears, by his manner of delivering himself, to have a perfect knowledge of the subject of it. Having thought it right to leave behind me some account of my friends and benefactors, it is in a manner necessary that I also give some account of myself; and as the like has been done by many persons, and for reasons which posterity has approved, I make no further apology for following their example. If my writings in general have been useful to my contemporaries, I hope that this account of myself will not be without its use to those who may come after me, and especially in promoting virtue and piety, which, I hope I may say, it has been my care to practise myself, as it has been my business to inculcate them upon others. I married a daughter of Mr. Isaac Wilkinson, an ironmaster, near Wrexham, in Wales, with whose family I had become acquainted, in consequence of having the youngest son, William, at my school at Nantwich. This proved a very suitable and happy connexion, my wife being a woman of an excellent understanding, much improved by reading, of great fortitude and strength of mind, and of a temper in the highest degree affectionate and generous; feeling strongly for others, and little for herself. Also, greatly excelling in every thing relating to household affairs, she entirely relieved me of all concern of that kind, which allowed me to give all my time to the prosecution of my studies, and the other duties of my station. The History of Electricity is a field full of pleasing objects, according to all the genuine and universal principles of taste, deduced from a knowledge of human nature. Scenes like these, in which we see a gradual rise and progress in things, always exhibit a pleasing spectacle to the human mind. Nature, in all her delightful walks, abounds with such views, and they are in a more especial manner connected with every thing that relates to human life and happiness; things, in their own nature, the most interesting to us. Hence it is, that the power of association has annexed crowds of pleasing sensations to the contemplation of every object, in which this property is apparent. This pleasure, likewise, bears a considerable resemblance to that of the sublime, which is one of the most exquisite of all those that affect the human imagination. 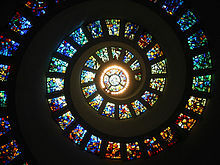 For an object in which we see a perpetual progress and improvement is, as it were, continually rising in its magnitude; and moreover, when we see an actual increase, in a long period of time past, we cannot help forming an idea of an unlimited increase in futurity; which is a prospect really boundless, and sublime. The history of philosophy enjoys, in some measure, the advantages both of civil and natural history, whereby it is relieved from what is most tedious and disgusting in both. 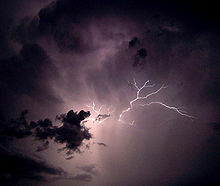 Philosophy exhibits the powers of nature, discovered and directed by human art. It has, therefore, in some measure, the boundless variety with the amazing uniformity of the one, and likewise every thing that is pleasing and interesting in the other. And the idea of continual rise and improvement is conspicuous in the whole study, whether we be attentive to the part which nature, or that which men are acting in the great scene. It is here that we see the human understanding to its greatest advantage, grasping at the noblest objects, and increasing its own powers, by acquiring to itself the powers of nature, and directing them to the accomplishment of its own views; whereby the security, and happiness of mankind are daily improved. Human abilities are chiefly conspicuous in adapting means to ends, and in deducing one thing from another by the method of analogy; and where may we find instances of greater sagacity, than in philosophers diversifying the situations of things, in order to give them an opportunity of showing their mutual relations, affections, and influences; deducing one truth and one discovery from another, and applying them all to the useful purposes of human life. If the exertion of human abilities, which cannot but form a delightful spectacle for the human imagination, give us pleasure, we enjoy it here in a higher degree than while we are contemplating the schemes of warriors, and the stratagems of their bloody art. Great conquerors, we read, have been both animated, and also, in a great measure, formed by reading the exploits of former conquerors. Why may not the same effect be expected from the history of philosophy to philosophers? May not even more be expected in this case? The wars of many of those conquerors, who received this advantage from history, had no proper connection with former wars: they were only analogous to them. Whereas the whole business of philosophy, diversified as it is, is but one; it being one and the same great scheme, that all philosophers, of all ages and nations, have been conducting, from the beginning of the world; so that the work being the same, the. labours of one are not only analogous to those of of another, but in an immediate manner subservient to them; and one philosopher succeeds another in the same field; as one Roman proconsul succeeded another in carrying on the same war, and pursuing the same conquests, in the same country. In this case, an intimate knowledge of what has been done before us cannot but greatly facilitate our future progress, if it be not absolutely necessary to it. Man derives two capital advantages from the superiority of his intellectual powers. The first is, that, as an individual, he possesses a certain comprehension of mind, whereby he contemplates and enjoys the past and the future, as well as the present. This comprehension is enlarged with the experience of every day; and by this means the happiness of man, as he advances in intellect, is continually less dependent on temporary circumstances and sensations. The next advantage resulting from the same principle, and which is, in many respects, both the cause and effect of the former, is, that the human species itself is capable of a similar and unbounded improvement; whereby mankind in a later age are greatly superior to mankind in a former age, the individuals being taken at the same time of life. Section I, "Of the First Principles of Government, and the different kinds of Liberty"
And since every man retains, and can never be deprived of his natural right (founded on a regard to the general good) of relieving himself from all oppression, that is, from every thing that has been imposed upon him without his own consent; this must be the only true and proper foundation of all the governments subsisting in the world, and that to which the people who compose them have an unalienable right to bring them back. Section II, "Of Political Liberty"
Governors will never be awed by the voice of the people, so long as it is a mere voice, without overt-acts. If the power of government be very extensive, and the subjects of it have, consequently, little power over their own actions, that government is tyrannical, and oppressive; whether, with respect to its form, it be a monarchy, an aristocracy, or even a republic. Section III, "Of Civil Liberty"
For the government of the temporary magistrates of a democracy, or even the laws themselves may be as tyrannical as the maxims of the most despotic monarchy, and the administration of the government may be as destructive of private happiness. The only consolation that a democracy suggests in those circumstances is, that every member of the state has a chance of arriving at a share in the chief magistracy, and consequently of playing the tyrant in his turn; and as there is no government in the world so perfectly democratical, as that every member of the state, without exception, has a right of being admitted into the administration, great numbers will be in the same condition as if they had lived under the most absolute monarchy; and this is, in fact, almost universally the case with the poor, in all governments. Great as Bacon was, he was far from being free from the mistakes and prejudices of those who went before him. Even some of the most wild and absurd opinions of the antients have the sanction of his approbation and authority. He does not hesitate to assent to an opinion... that visual rays proceed from the eye; giving this reason for it, that every thing in nature is qualified to discharge its proper functions by its own powers, in the same manner as the sun, and other celestial bodies. He acknowledges, however, that the presence of light, as well as several other circumstances, is necessary to vision. The mind of man can never be wholly barren. Through our whole lives we are subject to successive impressions; for, either new ideas are continually flowing in, or traces of the old ones are marked deeper. 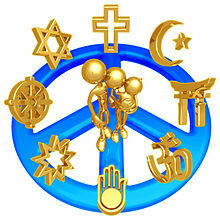 Religious rights, and religious liberty, are things of inestimable value. As all finite things require a cause, infinites admit of none … we are constrained, in pursuing the train of causes and effects, to stop at last at something uncaused. It is the earnest wish of my heart, that your minds may be well established in the sound principles of religious knowledge, because I am fully persuaded, that nothing else can be a sufficient foundation of a virtuous and truly respectable conduct in life, or of good hope in death. A mind destitute of knowledge (and, comparatively speaking, no kind of knowledge, besides that of religion, deserves the name) is like a field on which no culture has been bestowed, which, the richer it is, the ranker weeds it will produce, If nothing good be sown in it, it will be dccupied by plants that are useless or noxious. Respect a parliamentary king, and chearfully pay all parliamentary taxes; but have nothing to do with a parliamentary religion, or a parliamentary God. Religious rights, and religious liberty, are things of inestimable value. For these have many of our ancestors suffered and died; and shall we, in the sunshine of prosperity, desert that glorious cause, from which no storms of adversity or persecution could make them swerve? Let us consider if as a duty of the first rank with respect to moral obligation, to transmit to our posterity, and provide, as far as we can, for transmitting, unimpaired, to the latest generations, that generous zeal for religion and liberty, which makes the memory of our forefathers so truly illustrious. The mind of man will never be able to contemplate the being, perfections, and providence of God without meeting with inexplicable difficulties. We may find sufficient reason for acquiescing in the darkness which involves these great subjects, but we must never expect to see them set in a perfectly clear light. But notwithstanding this, we may know enough of the divine being, and of his moral government, to make us much better and happier beings than we could be without such knowledge; and even the consideration of the insuperable difficulties referred to above is not without its use, as it tends to impress the mind with sentiments of reverence, humility, and submission. If any person, discouraged by these difficulties, should think to relieve himself by rejecting all religion, natural and revealed, he will find, if he reflect at all, that he has miserably deceived himself, and that he is involved in greater perplexity than ever; the scheme he has adopted not only filling his mind with great darkness and distress, but being contrary to some of the plainest appearances in nature, and therefore manifestly irrational and absurd. That any being should be self created is evidently absurd, because that would suppose that he had a being before he had, or that he existed, and did not exist at the same time. For want of clearer knowledge of this subject, we are obliged to content ourselves with terms that convey only negative ideas, and to say that God is a being untreated or uncaused; and this is all that we mean when we sometimes say that he is self existent. The unity of God is a doctrine on which the greatest stress is laid in the whole system of revelation. We, who only learn from history that crucifixion was a kind of death to which slaves and the vilest of malefactors were exposed, can but very imperfectly enter into their prejudices, so as to feel what they must have done with respect to it. Most of the early Christian writers thought the text "I and my Father are one," was to be understood of an unity or harmony of disposition only. 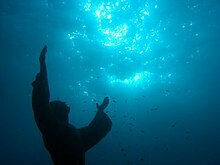 The whole doctrine of atonement, with every modification of it, has been a departure from the primitive and genuine doctrine of Christianity. The Jews were taught by their prophets to expect a Messiah, who was to be descended from the tribe of Judah, and the family of David, — a person in whom themselves and all the nations of the earth should be blessed; but none of their prophets gave them an idea of any other than a man like themselves in that illustrious character, and no other did they ever expect, or do they expect to this day. Jesus Christ, whose history answers to the description given of the Messiah by the prophets, made no other pretensions; referring all his extraordinary power to God, his Father, who, he expressly says, spake and acted by him, and who raised him from the dead: and it is most evident that the apostles, and all those who conversed with our Lord before and after his resurrection, considered him in no other light than simply as "a man approved of God, by wonders and signs which God did by him." As the greatest things often take their rise from the smallest beginnings, so the worst things sometimes proceed from good intentions. This was certainly the case with respect to the origin of Christian Idolatry. All the early heresies arose from men who wished well to the gospel, and who meant to recommend it to the Heathens, and especially to philosophers among them, whose prejudices they found great difficulty in conquering. Now we learn from the writings of the apostles themselves, as well as from the testimony of later writers, that the circumstance at which mankind in general, and especially the more philosophical part of them, stumbled the most, was the doctrine of a crucified Saviour. They could not submit to become the disciples of a man who had been exposed upon a cross, like the vilest malefactor. Of this objection to Christianity we find traces in all the early writers, who wrote in defence of the gospel against the unbelievers of their age, to the time of Lactantius; and probably it may be found much later. He says, "I know that many fly from the truth out of their abhorrence of the cross." We, who only learn from history that crucifixion was a kind of death to which slaves and the vilest of malefactors were exposed, can but very imperfectly enter into their prejudices, so as to feel what they must have done with respect to it. … Though this circumstance was "unto the Jews a stumbling-block, and unto the Greeks foolishness," it was to others "the power of God and the wisdom of God." 1 Cor. i. 23, 24. For this circumstance at which they cavilled, was that in which the wisdom of God was most conspicuous; the death and resurrection of a man, in all respects like themselves, being better calculated to give other men an assurance of their own resurrection, than that of any super-angelic being, the laws of whose nature they might think to be very different from those of their own. But, "since by man came death, so by man came also the resurrection of the dead." Later Christians, however, and especially those who were themselves attached to the principles of either the Oriental or the Greek philosophy, unhappily took another method of removing this obstacle; and instead of explaining the wisdom of the divine dispensations in the appointment of a man, a person in all respects like unto his brethren, for the redemption of men, and of his dying in the most public and indisputable manner, as a foundation for the clearest proof of a real resurrection, and also of a painful and ignominious death, as an example to his followers who might be exposed to the same … they began to raise the dignity of the person of Christ, that it might appear less disgraceful to be ranked amongst his disciples. We find upon all occasions, the early Christian writers speak of the Father as superior to the Son, and in general they give him the title of God, as distinguished from the Son; and sometimes they expressly call him, exclusively of the Son, the only true God; a phraseology which does not at all accord with the idea of the perfect equality of all the persons in the Trinity. But it might well be expected, that the advances to the present doctrine of the Trinity should be gradual and slow. It was, indeed, some centuries before it was completely formed. Most of the early Christian writers thought the text "I and my Father are one," was to be understood of an unity or harmony of disposition only. Thus Tertullian observes, that the expression is unum, one thing, not one person; and he explains it to mean unity, likeness, conjunction, and of the love that the Father bore to the Son. Origen says, "let him consider that text, 'all that believed were of one heart and of one soul,' and then he will understand this, 'I and my Father are one.'" It is sufficiently evident from many circumstances, that the doctrine of the divinity of Christ did not establish itself without much opposition, especially from the unlearned among the Christians, who thought that it savoured of Polytheism, that it was introduced by those who had had a philosophical education, and was by degrees adopted by others, on account of its covering the great offence of the cross, by exalting the personal dignity of our Saviour. Part I : The History of Opinions Relating to Jesus Christ, § IV : Of the Difficulty with which the Doctrine of the Divinity of Christ was Established. As I conceive this doctrine to be a gross misrepresentation of the character and moral government of God, and to affect many other articles in the scheme of Christianity, greatly disfiguring and depraving it; I shall show, in a fuller manner than I mean to do with respect to any other corruption of Christianity, that it has no countenance whatever in reason, or the Scriptures; and, therefore, that the whole doctrine of atonement, with every modification of it, has been a departure from the primitive and genuine doctrine of Christianity. Part II : Opinions Relating to the Doctrine of Atonement, § I : That Christ did not die to make satisfaction for the sins of men. Whenever our Lord speaks of the object of his mission and death, as he often does, it is either in a more general way, as for the salvation of the world, to do the will of God, to fulfil the scripture prophecies … or more particularly, to give the fullest proof of his mission by his resurrection from the dead, and an assurance of a similar resurrection of all his followers. He also compares his being raised upon the cross to the elevation of the serpent in the wilderness, and to seed buried in the ground, as necessary to its future increase. But all these representations are quite foreign to anything in the doctrine of atonement. Indeed, if any man can say, that it is not an interesting question, whether his existence terminate at death, or is to be resumed at a future period, and then to continue for ever, he must be of a low and abject mind. To a rational being, capable of contemplating the wonders of nature, and of investigating the laws of it, and to a being of a social disposition, his existence, and the continuance of his rational faculties, must be an object of unspeakable value to him; and consequently he must ardently wish that christianity... may be true. For to a philosopher, who forms his judgment by what he actually observes, the doctrine of soul, capable of subsisting and acting when the body is in the grave, will never give any satisfaction. To every person, therefore, who is capable of enjoying his existence, the christian doctrine of a resurrection opens a glorious and transporting prospect. I am sorry... to have occasion to admonish Mr. Gibbon, that he should have distinguished better than he has done between christianity itself, and the corruptions of it. ...He should not have taken it for granted, that the doctrine of three persons in one God, or the doctrine of atonement for the sins of all mankind, by the death of one man, were any parts of the christian system; when, if he had read the New Testament for himself, he must have seen the doctrine of the proper unity of God, and also that of his free mercy to the penitent, in almost every page of it. Too many christians have been chargeable with... confounding the Logos of Plato with that of John, and making of it a second person in the trinity, than which no two things can be more different. Mr. Gibbon has much to learn concerning the gospel before he can be properly qualified to write against it. Hitherto he seems to have been acquainted with nothing but the corrupt establishments of what is very improperly called Christianity; whereas it is incumbent upon him to read and study the New Testament for himself. There he will find nothing like Platonism, but doctrines in every respect the reverse of that system of philosophy, which weak and undistinguishing christians afterwards incorporated with it. Had Mr. Gibbon lived in France, Spain, or Italy, he might with the same reason have ranked the doctrine of transubstantiation, and the worship of saints and angels among the essentials of Christianity, as the doctrines of the trinity and of the atonement. The friends of genuine, and I will add of rational Christianity, have not, however, on the whole, much reason to regret that their enemies have not made these distinctions; since by this means, we have been taught to make them ourselves; so that Christianity is perhaps as much indebted to its enemies, as to its friends, for this important service. In their indiscriminate attacks, whatever has been found to be untenable has been gradually abandoned, and I hope the attack will be continued till nothing of the wretched outworks be left; and then, I doubt not, a safe and impregnable fortress, will be sound in the center, a fortress built upon a rock, against which the gates of death will not prevail. What does Priestley mean, by an unbeliever, when he applies it to you? How much did he unbelieve himself? Gibbon had it right when he denominated his Creed, "scanty." We are to understand, no doubt, that believed the resurrection of Jesus, some of his miracles, his inspiration; but in what degree? He did not believe in the inspiration of the writings that contain his history. Yet he believed in the Apocalyptic beast, and he believed as much as he pleased in the writings of Daniel and John. This great and extraordinary man, whom I sincerely loved, esteemed, and respected, was really a phenomenon; a comet in the system, like Voltaire, Bolingbroke, and Hume. Had Bolingbroke or Voltaire taken him in hand, what would they have made of him and his Creed? Nathaniel Lardner, the author of Letter on the Logos, the work Priestley credited with his own conversion from Arianism to Socinianism, had published anonymously to avoid retribution from both the civil authorities and private citizens — in vain as it turns out. That the vegetable creation should restore the air which is spoiled by the animal part of it, looks like a rational system, and seems to be of a piece with the rest. Thus fire purifies water all the world over. It purifies it by distillation, when it raises it in vapours, and lets it fall in rain; and farther still by filtration, when keeping it fluid, it suffers that rain to percolate the earth. We knew before that putrid animal substances were converted into sweet vegetables when mixed with the earth and applied as manure; and now, it seems, that the same putrid substances, mixed with the air, have a similar effect. The strong, thriving state of your mint, in putrid air, seems to show that the air is mended by taking something from it, and not by adding to it. I hope this will give some check to the rage of destroying trees that grow near houses, which has accompanied our late improvements in gardening, from an opinion of their being unwholesome. I am certain, from long observation, that there is nothing unhealthy in the air of woods; for we Americans have everywhere our country habitations in the midst of woods, and no people on earth enjoy better health or are more prolific. Yours is one of the few lives precious to mankind, and for the continuance of which every thinking man is solicitous. Bigots may be an exception. What an effort, my dear sir, of bigotry in politics and religion have we gone through! The barbarians really flattered themselves they should be able to bring back the times of Vandalism, when ignorance put everything into the hands of power and priestcraft. All advances in science were proscribed as innovations. They pretended to praise and encourage education, but it was to be the education of our ancestors. We were to look backwards, not forwards, for improvement … This was the real ground of all the attacks on you. Those who live by mystery and charlntanerie, fearing you would render them useless by simplifying the Christian philosophy — the most sublime and benevolent, but most perverted system that ever shone on man — endeavored to crush your well-earned and well-deserved fame. But it was the Lilliputians upon Gulliver. Our countrymen have recovered from the alarm into which art & industry had thrown them; science & honesty are replaced on their high ground; and you, my dear Sir, as their great apostle, are on it's pinnacle. Why were Priestley, Boyle and Black able to see the question clearly enough to begin trying to answer it? ...because they had new tools. The air pump designed by Otto von Guericke and Boyle (...in collaboration with his assistant Robert Hooke...) were essential to Priestley's lab in Leeds. ...In a way, the air pump had enabled the entire field of pneumatic chemistry in the seventeenth century. The Royal Society... voted to award him the Copley Medal, the most prestigious scientific prize of its day, "on account of the many curious and useful Experiments contained in his observations on different kinds of Air." In receiving the prize, Priestley was joining the ranks of his friends Canton and Franklin, who had three medals between them. Only five years after they had encouraged him to turn his experimental hobbies into a serious vocation, Priestly had reached the highest pinnacle of scientific achievement. In 1774 he thought he had obtained nitrous oxide... in 1775 he saw the gas as dephlogisticated air... If we refuse the palm to Priestley, we cannot award it to Lavoisier for the work of 1775... Lavoisier insisted that oxygen was an atomic "principle of acidity"… formed only when that "principle" united with "caloric"... Ignoring Scheele, we can safely say that oxygen had not been discovered before 1774, and we would probably say that it had been discovered by 1777 or shortly thereafter. But... any attempt to date the discovery must inevitably be arbitrary because discovering a new sort of phenomenon is necessarily a complex event, one which involves recognizing both that something is and what it is. Few men have had to struggle for so many years with circumstances more straitened and precarious than my father; few men have ventured to attack so many or such inveterate prejudices respecting the prevalent religion of his country, or have advanced bolder or more important opinions in opposition to the courtly politics of the powers that be; few have had to encounter more able opponents in his literary career, or have been exposed to such incessant and vindictive obloquy, from men of every description, in return for his unremitting exertions in the cause of truth; yet none have more uniformly proceeded with a single eye, regardless of consequences, to act as his conviction impelled him, and his conscience dictated. His conduct brought with it its own reward, reputation, and respect, from the most eminent of his contemporaries, the affectionate attachment of most valuable friends, and a cheerfulness of disposition arising in part from conscious rectitude which no misfortunes could long repress. But to me it seems, that conscious rectitude alone would hardly of itself have been able to support him under some of the afflictions he was doomed to bear. He had a farther resource, to him never failing and invaluable, a firm persuasion of the benevolence of the Almighty towards all his creatures, and the conviction that every part of his own life, like every part of the whole system, was preordained for the best upon the whole of existence. Had he entertained the gloomy notions of Calvinism, in which he was brought up, this cheering source of contentment and resignation would probably have failed him, and irritation and despondency would have gained an unhappy ascendancy. But by him the deity was not regarded as an avenging tyrant, punishing, for the sake of punishing his weak and imperfect creatures, but as a wise and kind parent, inflicting those corrections only that are necessary to bring our dispositions to the proper temper, and to fit us for the highest state of happiness of which our natures are ultimately capable. "Joseph Priestley: Discoverer of Oxygen"